EXETER have finally been able to confirm opening bowler Tom Pedel as their new captain for the season ahead. 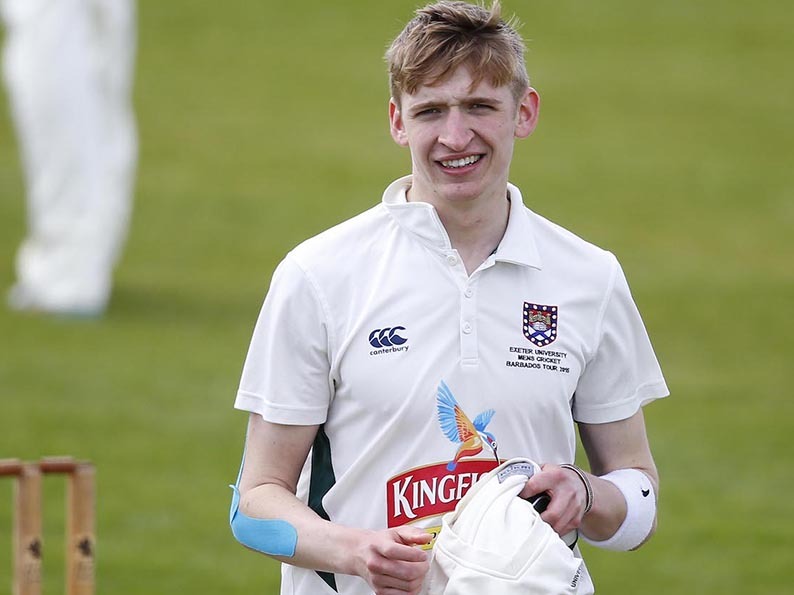 The County Grounders have been in limbo since Christmas when 2018 captain Alex Barrow announced he was off to Sidmouth for the summer ahead. Rob Holman, the senior player and a previous skipper, was touted as a possible replacement without much enthusiasm on his part. Holman subsequently left for Heathcoat. Somerset staffers Tom Lammonby, who skippered England Under-19s in two four-day Tests in Bangladash earlier this year, and Ben Green were also mentioned as joint candidates. As Green and Lammonby could be called away at any moment to play for Somerset, that was the option of last resort. Pedel, who joined Exeter in 2016 when he arrived to study law at the University of Exeter, was always on the shortlist. The delay in making a decision was due to him being out of the country and unsure of where he would be working. Exeter chairman Julian Smith was mightily relieved when Pedel (23) returned to Exeter and announced he had a job as a trainee solicitor with a firm in the city. Although the team Pedel has inherited has lost a few runs from last season – Holman (764) and Barrow (538) were prodigious – he still has Green and Lammonby. Lammonby’s season was interrupted by injury, but Green blasted three tons and five 50s making 925 runs at an average of 102.77. With Somerset fast bowler Nathan Gilchrist added to the roster this season, Exeter have gained a useful player too. Middlesex’s Ethan Bamber remains on the registration list, but Exeter cannot field him and Gilchrist in the same team due to league rules on using First Class contracted players. “Despite losing Alex and Rob we have retained a core group of strong players, we just have to get as many of them on the park as we can,” said Pedel. “You cannot be sure about how much Ben Green and Tom Lammonby will be available as if they are playing for Exeter they are not in the first team at Somerset. “We want both of them to do well for Somerset, but at the same time they have done a fantastic job for us and you would like them to do that for a few more years. Ed Middleton, a spin-bowling all-rounder, finished the season in Exeter’s 1stXI and also the Devon county side. He is one to watch this year. 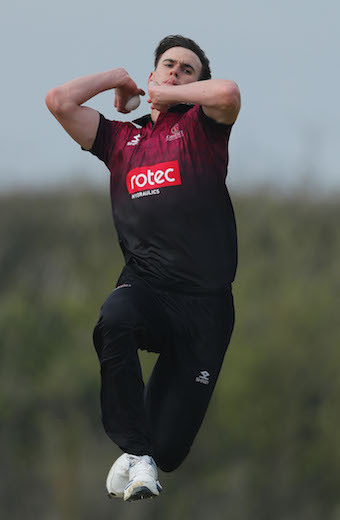 Batters James Bovey and Jamie Khan have reached the stage in their development where they are due a breakthrough season. Harvey Sargent, who joined Exeter in 2018 from Sidmouth, is another player on the cusp from promising youngster to established player.